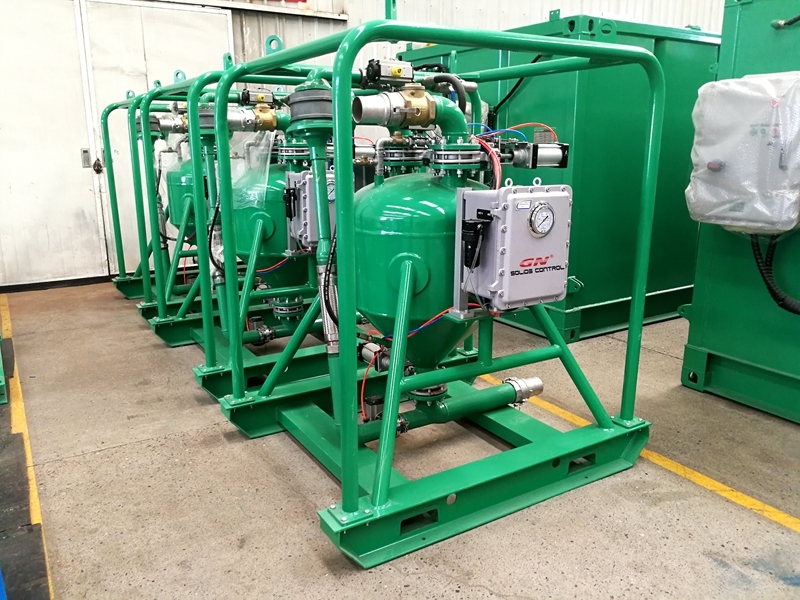 At beginning of this month, GN has got an order for 2 sets of solids control systems for 1000 HP rigs which will be working in a middle east country, and the end user is a national owned drilling company in that country. 2 sets of shale shakers GNZS703E-HB, linear motional, with 3 pcs of screens and vibrating G force up to 7.5 G.
1 set if vacuum degasser before the mud cleaner. 1 set of mud cleaner GNZJ703E-2S12N, same under flow shaker as shale shaker in 1st step separation, and polyurethane material cyclones 2 desander cones of 10 inch diameter, and 12 desilter cones of 4 inch diameter. 1 set of middle speed big bowl decanter centrifuge GNLW452C fixed speed with 1800RPM, for barite recovery. 1 set of high speed decanter centrifuge GNLW363CG fixed speed for fine particle cuttings separation. 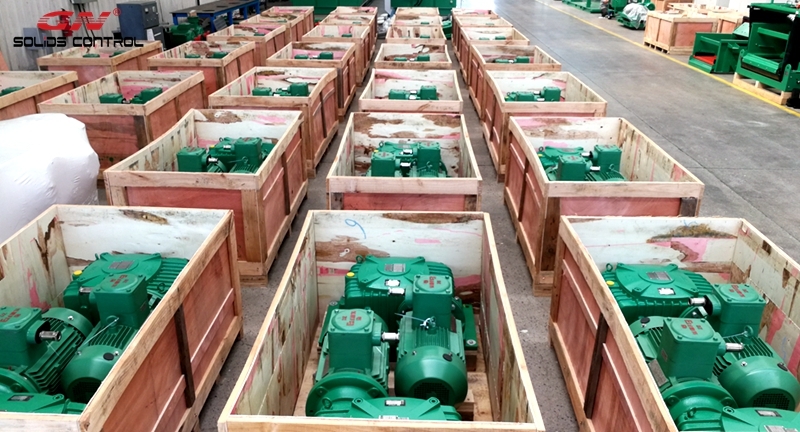 16 sets of GNJBQ110DD double impeller mud agitators. 16 sets of GNNJQ80A-3X mud guns. 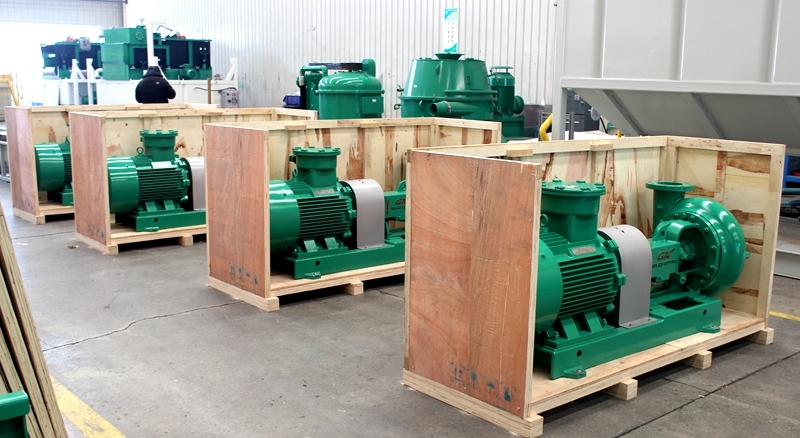 5 sets of GNSB4*3-13J centrifugal pumps respectively for feeding the desander and desilter cones of mud cleaner and the mixing hoppers. 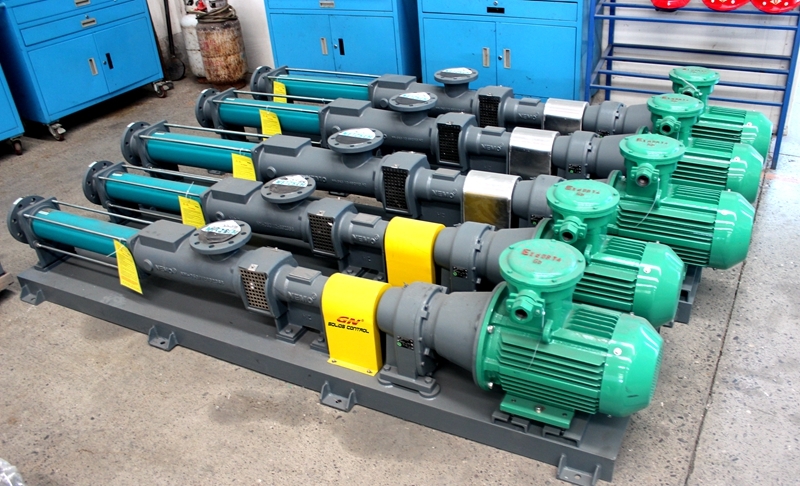 2 sets of submersible slurry pumps for feeding the middle speed centrifuge and the high speed centrifuge. “ After those 2 sets of solids control package from GN Solids Control, China, matching for the 2 USA made Rigs, we may consider next rig from China also. It is pleasant experience to deal with GN.” Said the drilling company’s General Manager. 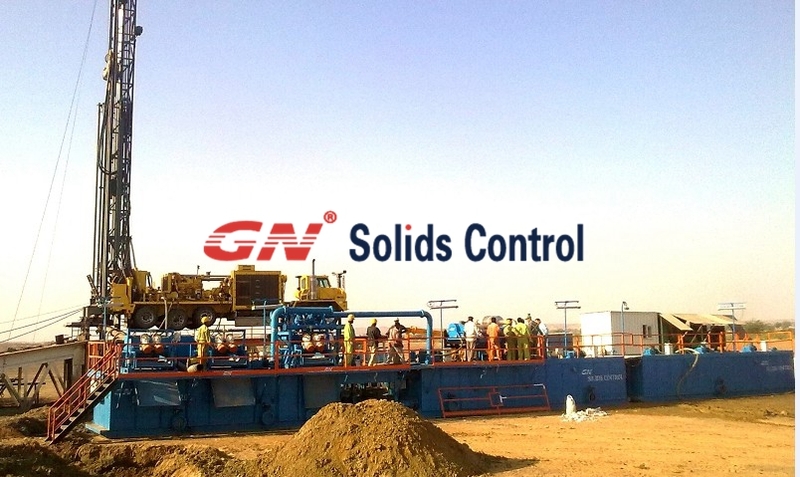 GN Solids Control is China leading manufacturer for solids control equipment & drilling waste management equipment. 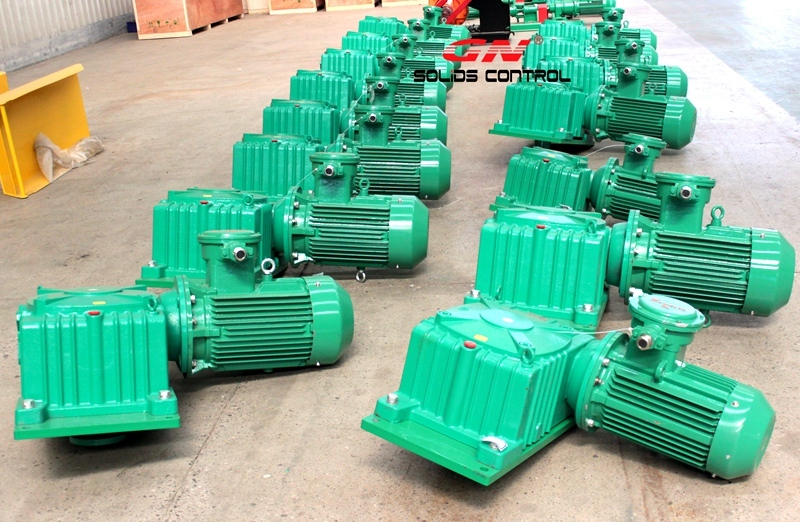 The sales amount of solids control equipment is also the No.1 during China solids control suppliers. GN Solids Control is Agitator leading company from China. From last year, we offer over 30sets agitator to Kuwait. The end user is Kuwait Drilling Company and the direct buyer is local trading companies or small service companies. GN direct connection mud agitator can work very good in agitating the drilling mud. Iran is oil rich market with large requirement for solids control equipment & drilling waste management equipment. During past recent years, we exported over 30sets centrifuge to Iran market. 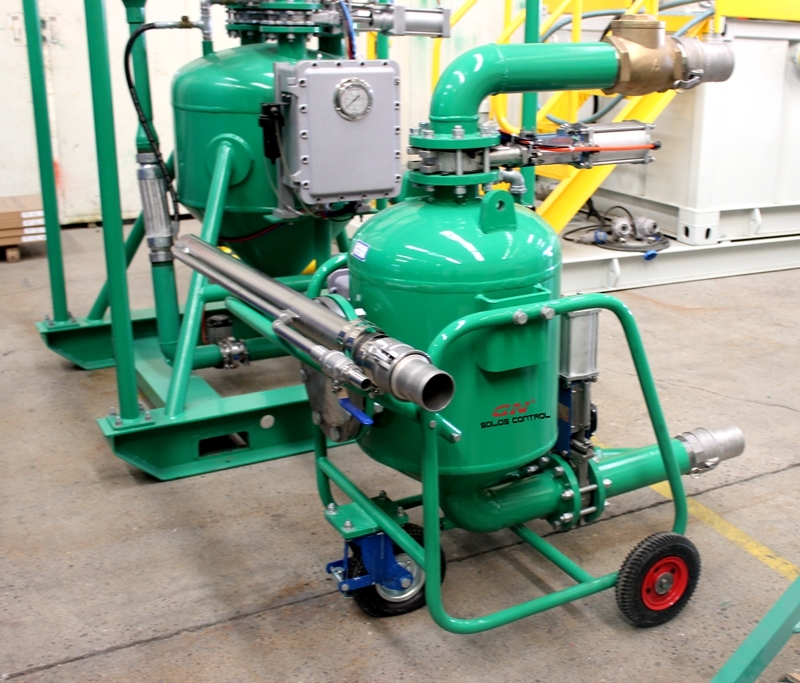 The main customer uses the centrifuge for solids control service and drilling cuttings management service. GN decanter centrifuge is much popular in Iran solids control service company and Nigeria solids control service company. High G dryer is equipment professional for water based mud drilling waste management equipment. After treated by High G dryer, the OOC can reach to about 10%. However, if with vertical cuttings dryer, the OOC can reach to 3%, much dryer performance than High G dryer. GN Solids control vertical cuttings dryer is working in many jobsite, like Baker Hughes jobsite vertical cuttings dryer, shell jobsite vertical cuttings dryer etc. Every year, the customer from Middle East buy at least 2000pcs shaker screen as replacement screen for Derrick FLC 2000 / 500 screens, replacement screen for Swaco Mongoose screens., replacement screen for King cobra shaker screen Etc. 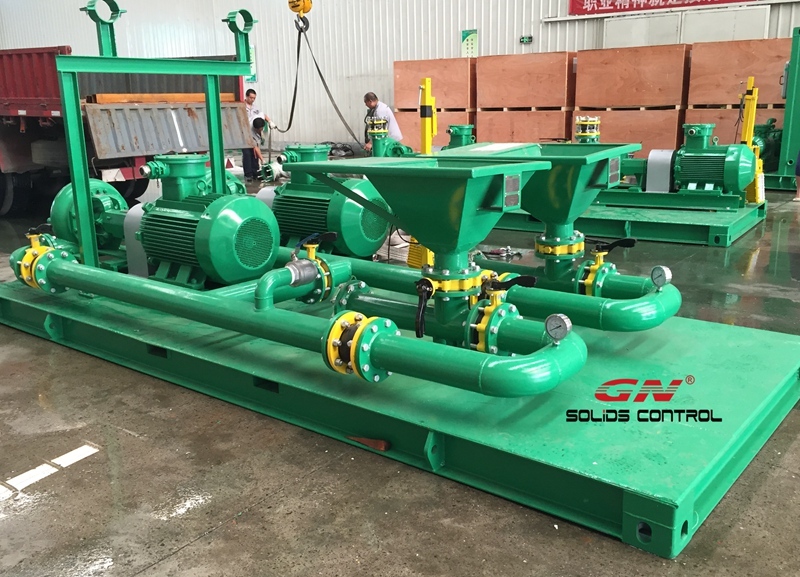 With large production capacity of solids control equipment, GN Solids Control can offer reliable equipment with large quantity in short delivery period. If you need any support, pls contact us freely. Mud Agitator adjustment refer to fig V. There is mainly bracket, pedestal, elevation whirl worm, elevation nuts, etc. When we make adjustment, handle wheel rotary by clockwise, shaker deck angle will be larger; handle wheel rotary by anti clockwise shaker deck angle will be less. Fig V. mud agitator manufacturer Clean dust on shell regularly,Before operating, must check the bolts to confirm whether there is loose or not. Otherwise, we must screw bolts tight before running shaker,Inspect the cable, whether there is wear, hold down, crushing, etc. To make sure bearing operated well, we must use LGHP2 grade high temperature lubrication grease. Before adding new lubrication grease we should clean the input hole. Commonly, bearing will have natural temperature increase by 1-2℃ just after lubricating or second lubrication.To avoid dust fall into oil input hole, or wear bearing, usually we’ll use oil cup to close oil hole. The author of the article recommends Mud Agitator for all of the factory,pls visit us to know more. Before startup, first to open the ball valve on the vacuum pump water supply pipeline (alternatively could removed the vacuum pump water supply pipeline to use hose for water supply) and then unscrew the screw plug on the Mud Cleaner to fill water until the water over flow outlet and spin on the screw plug. Finally, rotate the coupling by hand or pipe wrenches few rounds to confirm that the Solids Control is not jammed or other damage then start. 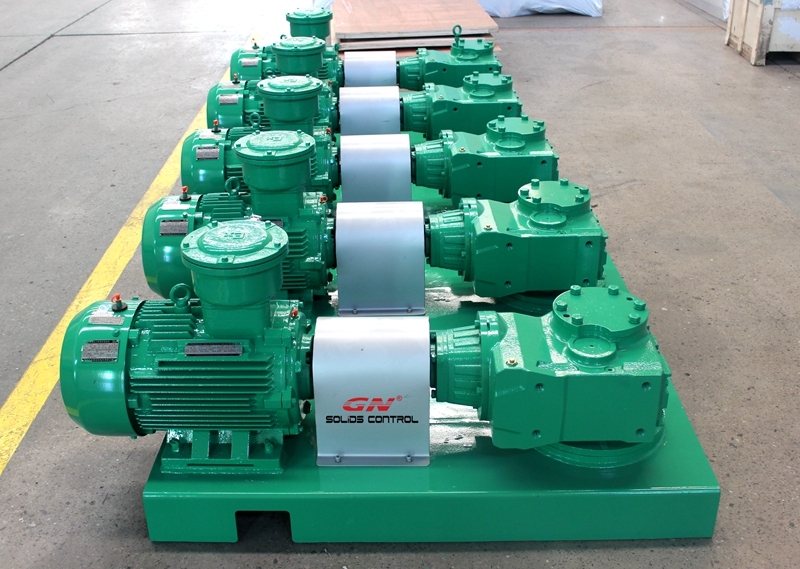 Before the start, you should first figure out the direction of rotation of the Desander, vacuum pump and main motor belt guard are marked the direction by arrow, should be the same direction with the arrow, strictly prohibited of reverse run.